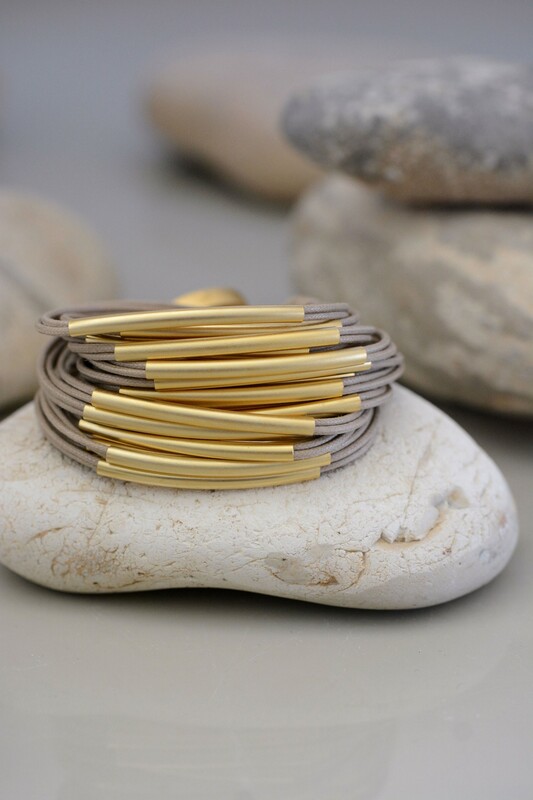 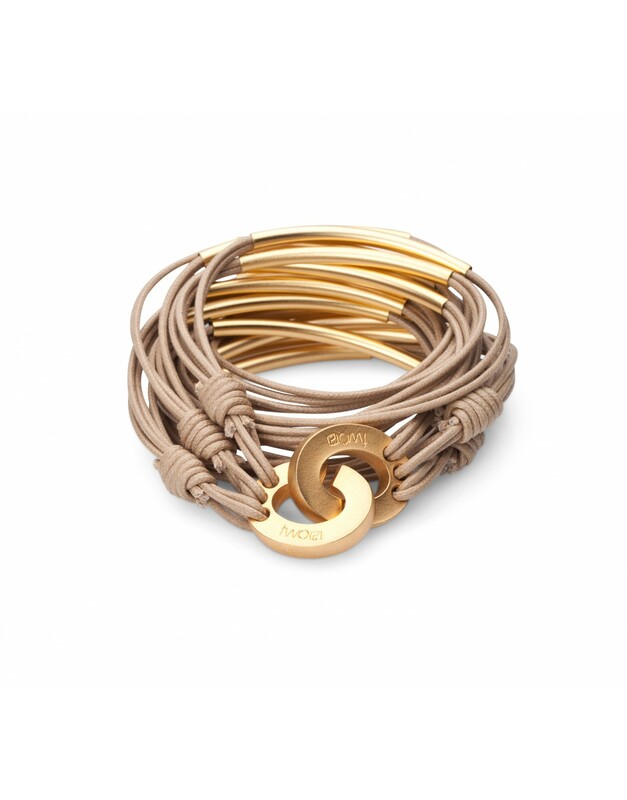 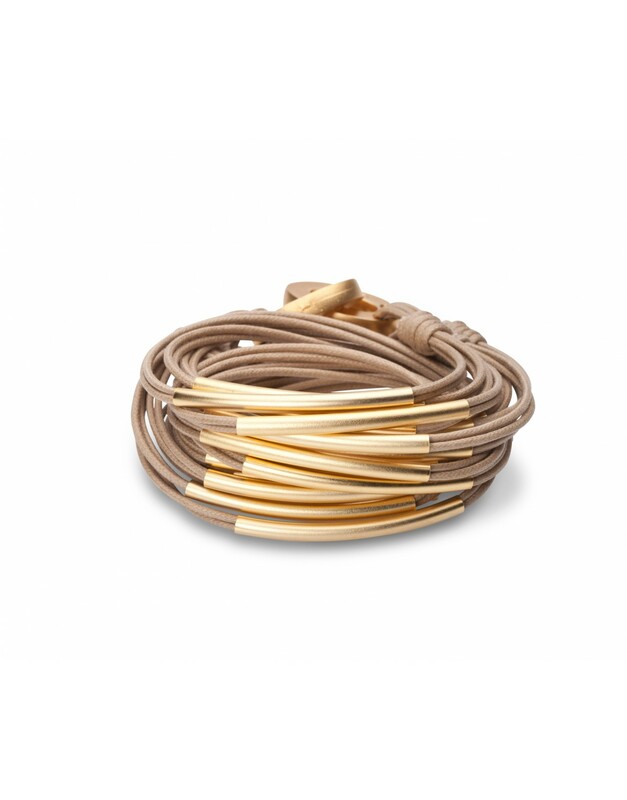 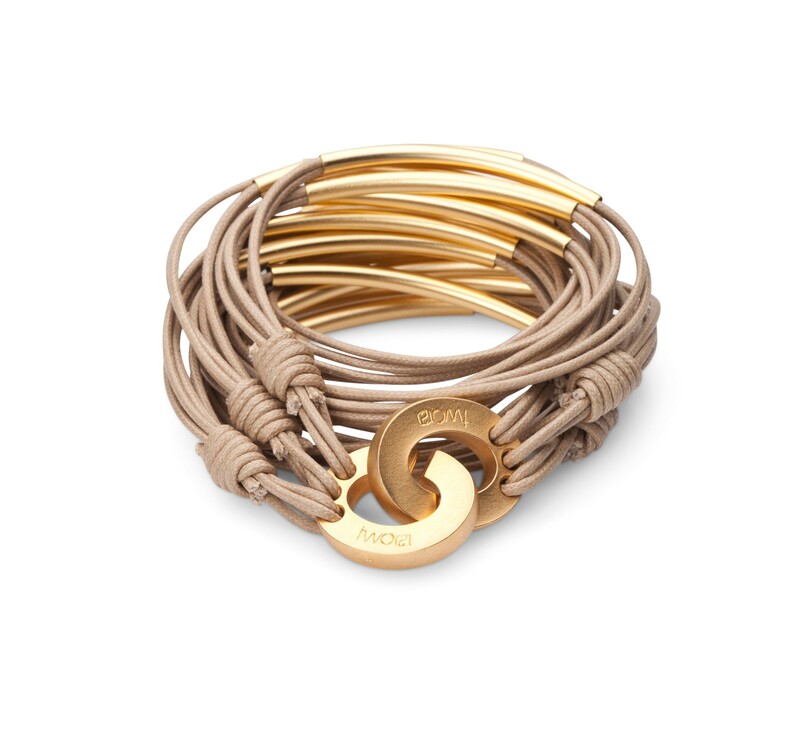 This wrap-around bracelet gracefully flows around your wrist, wrapping twice and closing with a beautiful c-shape clasp. 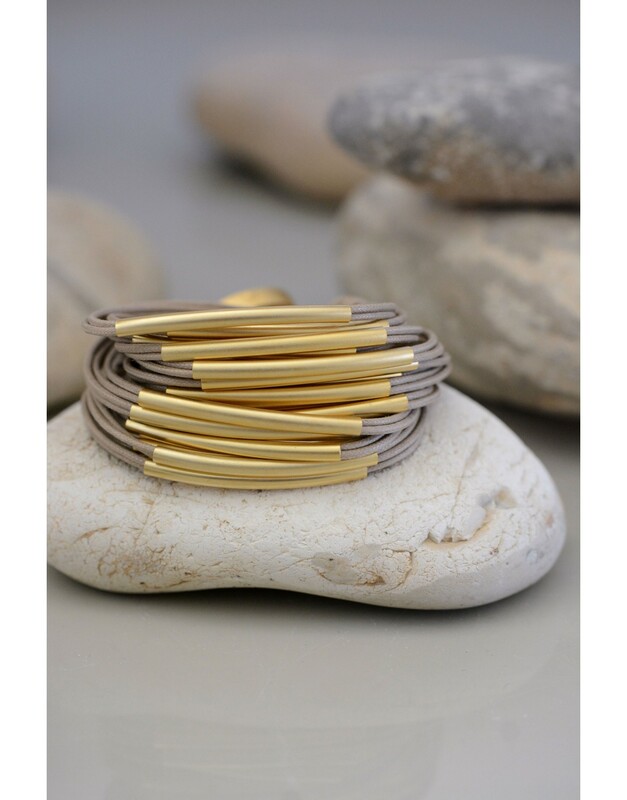 This casual design is full of life and energy, making it a statement piece that also manages to feel incredibly comfortable on your wrist. 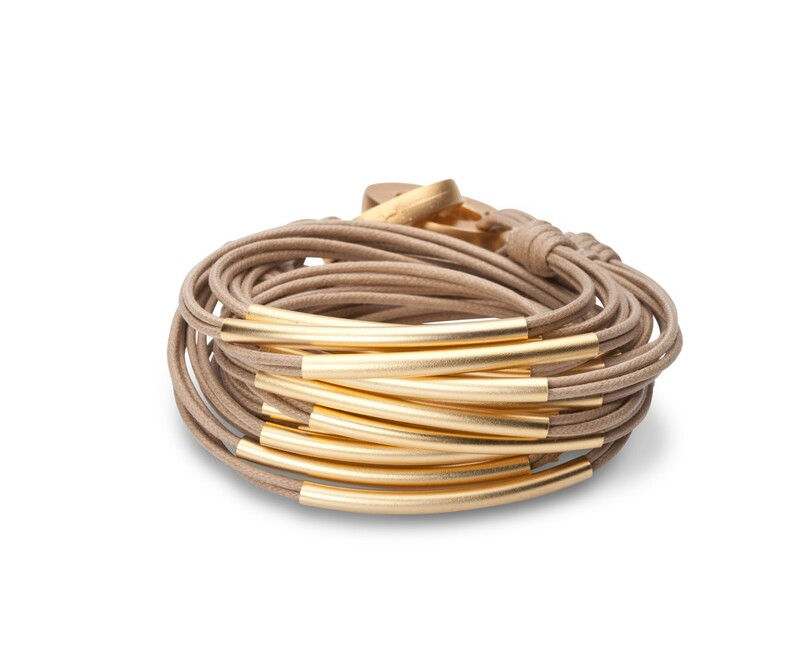 It's expertly crafted from metal pipes plated in matte gold color that are hung from a light stone colored cotton and nylon.